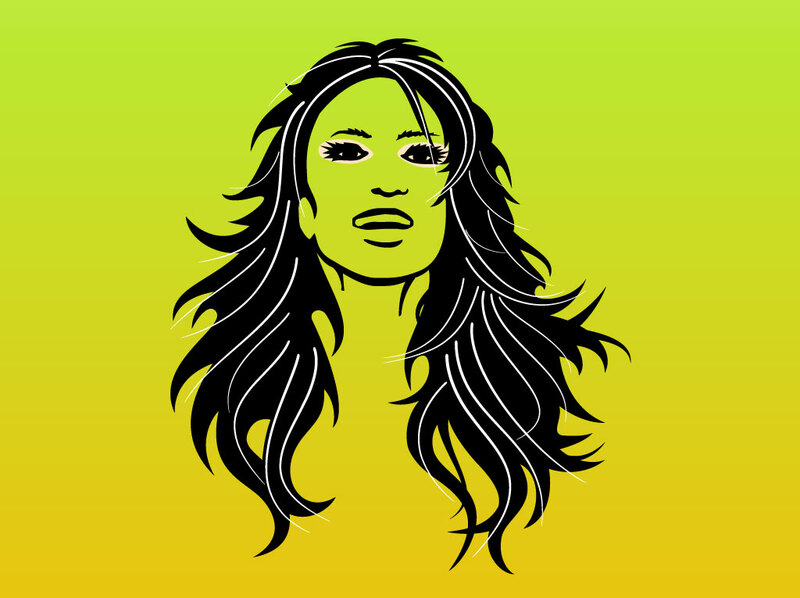 Vector portrait graphics of beautiful young Latina woman on radiant background. Long flowing hair with white highlights and orange eye makeup are features of the beautiful girl. Free download for your collage art, R&B, model, fashion, beauty themed designs and people stock art collection. Tags: Beauty, Exotic, Fashion, Girl, Hair, Lady, Mode, Model, Person, Woman.